Dr. Finn joined AltaPointe as a board-certified child and adolescent psychiatrist in the summer of 2012. 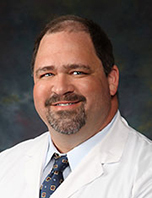 He earned a bachelor’s degree in economics from the University of Alabama in Birmingham before going on to earn a medical degree from the University of South Alabama College of Medicine. Finn completed residency training in general psychiatry at UAB and Vanderbilt University Medical Center in Nashville, and child/adolescent psychiatry at Vanderbilt where he was selected chief fellow his second year. He is board-certified in child/adolescent psychiatry. Following residency training and fellowship, Finn worked at the Children’s Hospital of Alabama in Birmingham as a staff psychiatrist of the Vaughan Psychiatric Service. He is a member of the Alabama Medicaid Physician’s Advisory Committee. Before joining AltaPointe, Finn served as medical director at Glenwood, Inc. in Birmingham. His professional experience has led to a primary interest in autism and other developmental disorders. Finn has three adult children and seven precious grandchildren. Finn is a USA College of Medicine-Department of Psychiatry Assistant Professor and the Assistant Director of the Child and Adolescent Psychiatry Fellowship.